Charles Aznavour in Montreal or Quebec City? Inform me about the next events for Charles Aznavour. Enroll yourself to our priority waiting list for Charles Aznavour to be alerted when new tickets are available. Filling this form doesn't engage you to any purchase. The unstoppable Charles Aznavour is still touring the world tour. He will be at the Bell Centre in Montreal on October 21st, 2016. 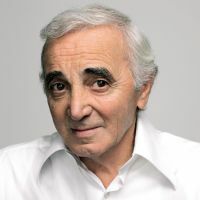 At 92 years young, Charles Aznavour wrote and released over 1200 songs in 8 different languages and sold over 180 million records in over 70 years of career. He will be coming to Montreal as part of a short North American tour, with dates in New York, Boston, Miami, as well as L.A.
Don't miss the return of the French Frank Sinatra to Montreal for one-night-only performance !